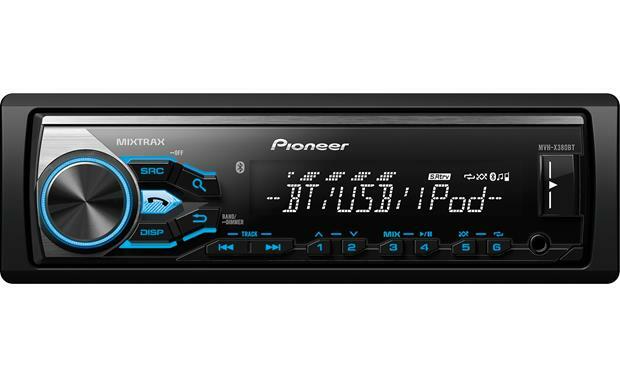 Pioneer MVH-S315BT New release built for iPod, iPhone and Android phones. Stereo radio with Bluetooth for hands free phone calling and wireless audio streaming built in. For those that no longer play CD’s but have all their music on Android Phones, MP3, Apple or Andriod products or memory stick. Features RDS, USB Aux, 3.5mm Aux, Sub out and Detachable Face for security, with built in 4 x 50 Watt Amp. New Pioneer Apple Car Play stereo. New Pioneer double din Bluetooth stereo.